When will I get my order? : It takes 4 business days to create cookies order. Shipping timing is additional. (Click here to calculate shipping timing). If the map shows that your package will arrive in more than 2 days, please select 2nd Day Air to prevent chocolate from melting. 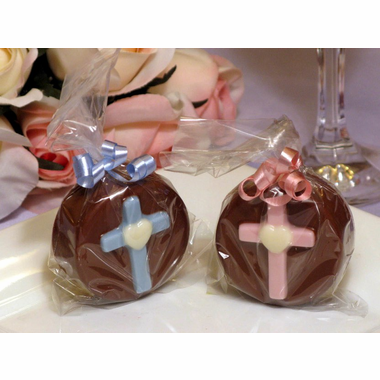 Everyone loves to receive an edible favor and none more than a chocolate dipped oreo cookie! 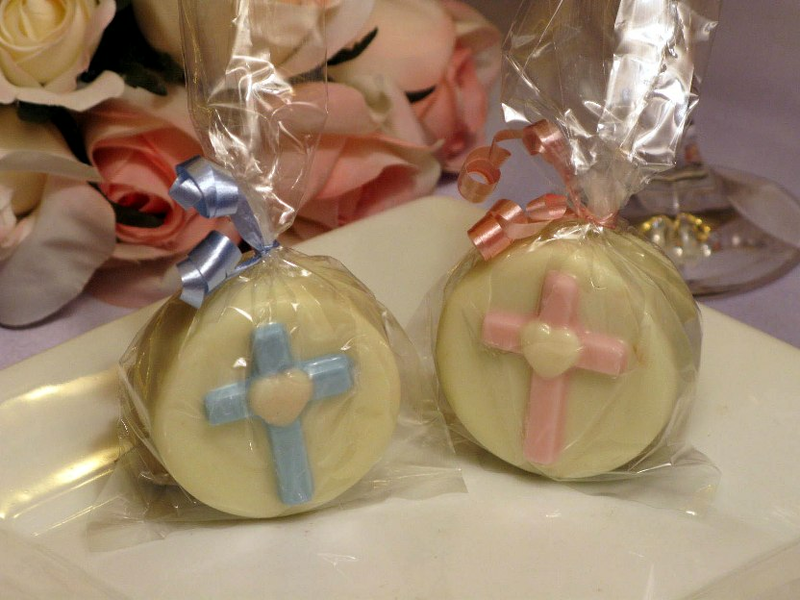 Our Communion cookies are dipped in your choice of milk or white chocolate. 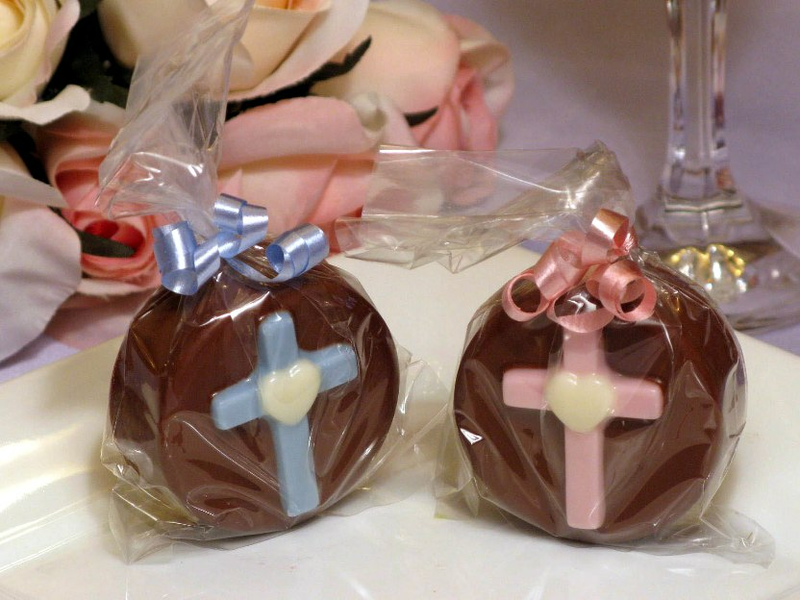 They are the greatest tasting Communion favors you will give or receive. Your order is fulfilled in 3-4 business days. Add 1 - 2 days for shipping. The baker needs 4 days to create your order. Shipping time is additional. If the shipping map shows that your package will arrive in more than 2 days, please select 2nd Day Air to prevent chocolate from melting.